MTG has completed the sale of its Czech TV assets as it continues its transformation from “traditional national broadcaster into global digital entertainer”. In a statement, MTG confirmed it has closed the sale of its 50% shareholding in FTV Prima Holding to Denemo Media for a total cash consideration of €116 million. The Nordic company plans to use the proceeds from the sale to increase its ownership in online games developer InnoGames from 21% to 51%. MTG first announced in January that it would sell FTV Prima Holding, a company that operates one of the biggest free-to-air networks in the Czech republic, Prima, alongside a sting of other Prima-branded TV channels and the Prima Play streaming service. MTG bought its 50% stake of the business in 2005 for €87 million in cash. Including dividends received and the sale price, MTG estimates that its total cash return on the investment amounts to SEK1.6 billion (€167 million). 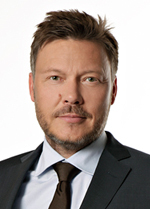 “The sale will result in a net capital loss of preliminary some SEK110 million. All items related to FTV Prima Holding will be reported as discontinued operations in MTG’s Q2 interim report,” said MTG.